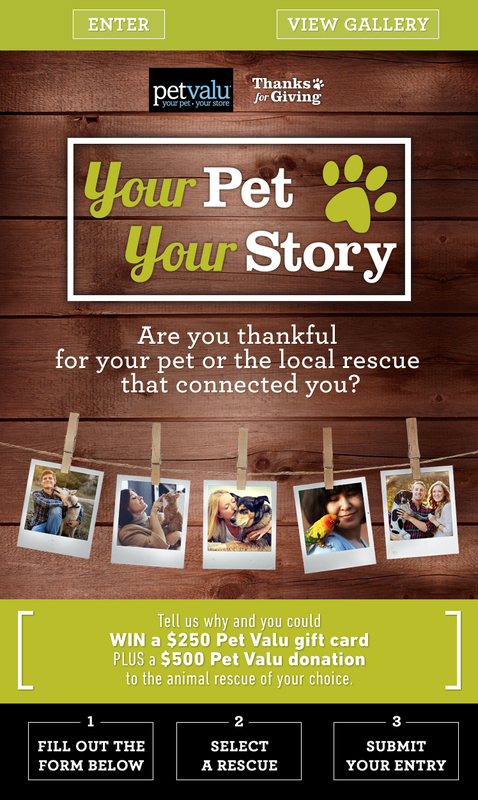 Tell us in 400 characters or less why you're thankful for your pet! Select a rescue from the dropdown menu. Each rescue is labeled with the state it serves. Select a rescue from your state! 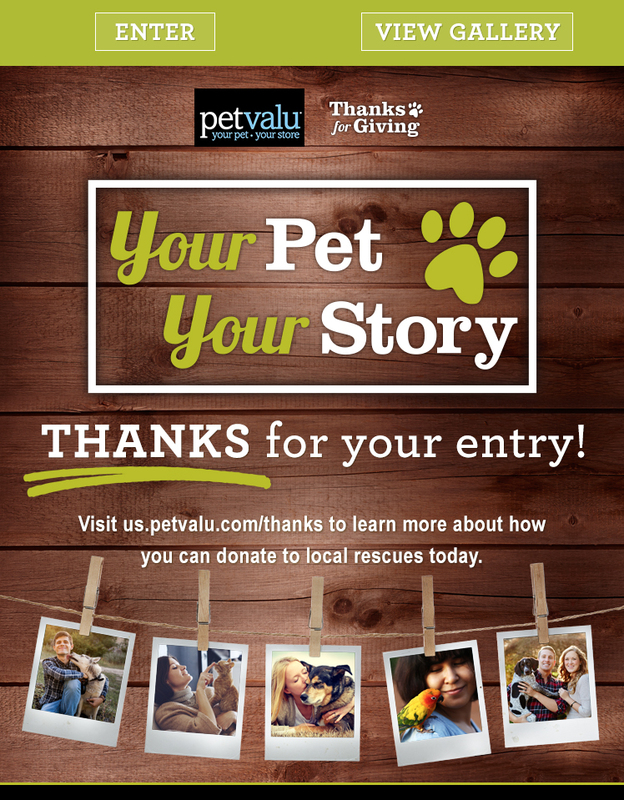 I consent to receive news, updates, and promotions by email or electronic messaging from Pet Valu, Inc. relating to pet ownership, products sold, and services provided at Pet Valu stores. This promotion is in no way sponsored, endorsed or administered by, or associated with, Facebook. You are providing your information to Pet Valu USA and not to Facebook. Click a social share button below to share with your friends and family, and encourage them to enter for their own chance to win!